First committee deadline week is usually one of the busiest weeks all year at the Minnesota Capitol – and this year was no exception. Policy committees in both the House & Senate heard dozens of bills every day. Some bills received hearings on back-to-back days in different committees. 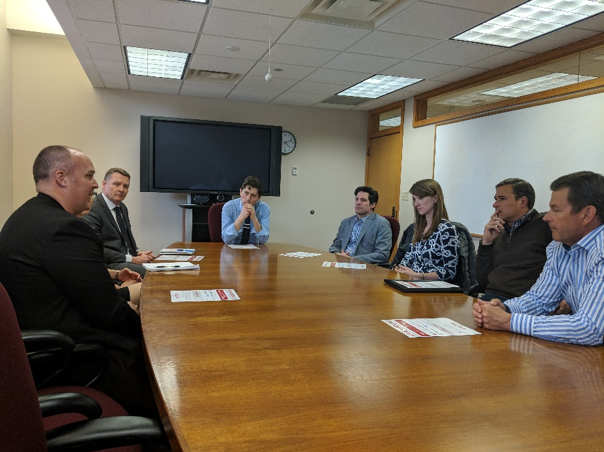 We were fortunate this week to have two Medical Alley Association members in St. Paul to meet with legislators on the 2018 Health Technology Economy Agenda. A big thank you to Patrick Yoder & Tim Morin from LogicStream Health and Kris Huson from Recombinetics! This week will again be a very busy week in committee, as the second committee deadline is Thursday evening. A few of the bills Medical Alley Association is supporting will receive hearings this week. The Senate Taxes committee will be hearing a bill funding the Angel Investment Tax Credit on Wednesday. Medical Alley Association will be there to testify in support of the bill. Reinstating the Angel Investment Tax Credit is the top legislative priority for Medical Alley Association this year. This bill will likely be held for possible inclusion in the Senate Taxes Omnibus bill and will not be passed out on its own (this is the typical process for tax bills). The House heard this bill last year and does not need to hear it again this year to include it in the House Taxes Omnibus bill. The Senate Health & Human Services Finance and Policy committee, on Tuesday, will hear legislation providing for an override of step therapy protocols when certain criteria are met. Medical Alley Association is part of the coalition advocating for the passage of this bill. This bill likely will have at least one more committee hearing this week, should it pass out of Senate HHS Finance & Policy. 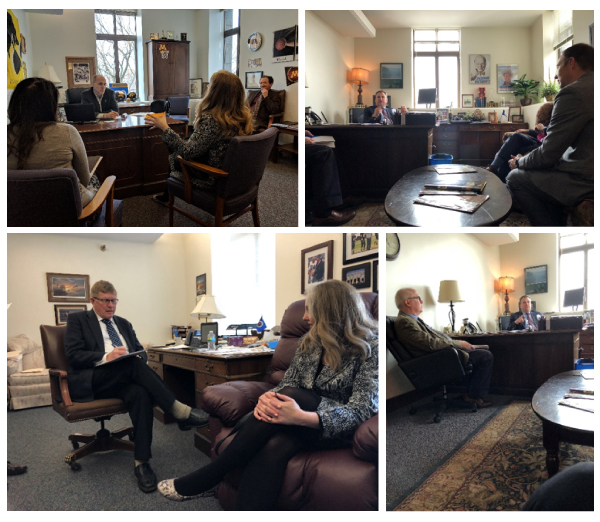 The House companion (HF3196 – Fenton) passed through two committees in the House last week and is awaiting a hearing in the House State Government Finance committee. If granted a hearing here, it would have one more committee stop to make before deadline on Thursday night. This bill will likely see multiple committee stops in the House & Senate this week. Right now it is scheduled in Senate HHS Finance & Policy, House Higher Education Policy & Finance on Tuesday. It will require stops in at least Senate State Government & Elections Finance and House HHS Finance before the deadline on Thursday night. The language in the House & Senate differ slightly, but generally this bill would create a council to advise on research, treatment, and education related to rare diseases. The Senate Finance committee will take up Senator Rosen’s bill (SF730) to create a new tax on opioid prescriptions, a new registration fee & surcharge on opioid manufacturers, and set a seven-day limit on the prescription of opioids. Medical Alley Association has a number of concerns with this bill. These include the creation of an extensive tracking system and reporting responsibilities for manufacturers; lack of clarity on impact to non-opioid pain management solutions; and significant cost increases to healthcare systems and patients through a new tax on opioids sold in Minnesota, in addition to concerns over implementing a new tax when other funding mechanisms are available. We are working with the author to address these concerns. This bill is likely to be slightly amended and passed out of committee to the Senate Floor, where it will await a vote of the full Senate. We are continuing to track many other pieces of legislation including several relating to opioids. Look for a full update on where all the bills MAA is monitoring stand, following the first two committee deadlines, next week. 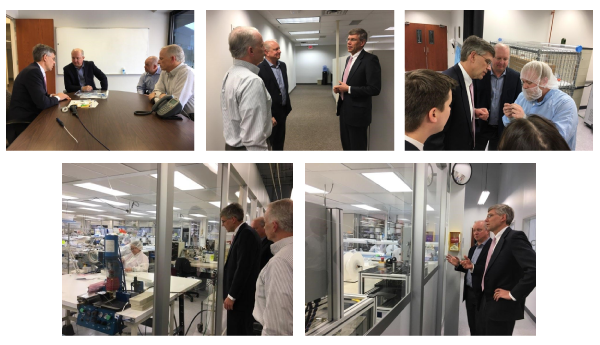 On Friday afternoon Medical Alley Association member Teleflex hosted Congressman Paulsen at their Maple Grove facility. He toured the facility, met with Teleflex employees, and talked with them about how the Medical Device Excise Tax impacts them. Congressman Paulsen has worked tirelessly to fully repeal this tax and was instrumental in securing its current two-year suspension. A big thank you to Congressman Paulsen for taking the time to visit! Also on Friday, several Minneapolis-based Medical Alley Association members met with Minneapolis Mayor Jacob Frey. They discussed several issues including the need to continue attracting top talent to Minnesota and how Minneapolis plays a big role in doing this. Thank you to Mayor Frey for meeting with us and we look forward to continue working him on strengthening Medical Alley as the Global Epicenter of Health Innovation and Care.